Tickets are £15 in advance (more on the door) and are available from Earworm Records, the venue in person or online via See Tickets. British beat innovators and perennial festival favourites The Herbaliser return this year with their first album in half a decade. ‘Bring Out The Sound’, their debut on much loved UK independent BBE Records, is much more than a classic addition to The Herbaliser canon, it redefines it. 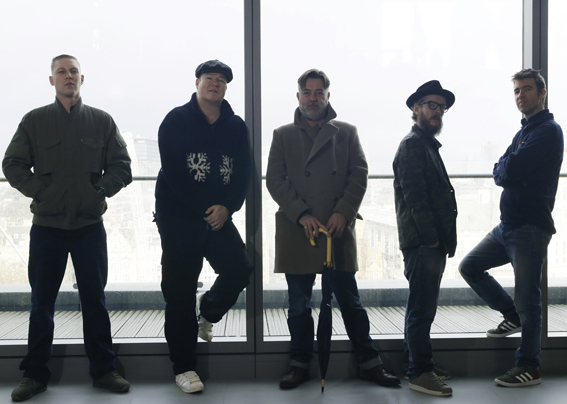 Critically lauded for each of their seven studio albums (plus their benchmark mixes for Fabric live and Ninja Tune), The Herbaliser have established a unique voice within UK music, combining hip-hop beats and widescreen soundtrack elements. In the psychedelic-edged ‘Bring Out The Sound’ these hallmark ingredients are still present. But with the addition of UK Legend Rodney P (on tracks such as ‘Like Shaft’ and the jaw dropping ‘Some Things’), The Herbaliser display their strongest dedication yet to a UK hip-hop sound. On ‘Seize The Day’, sung by Just Jack, they also demonstrate, for the first time, their capabilities as writers of acoustic-edged pop. Formed in the early 1990s by core duo Jake Wherry and Ollie Teeba, The Herbaliser became an integral part of a unique, British hip hop sound, helmed by Ninja Tune and Mo Wax, which took the world by storm. With their five classic albums for the imprint, they helped redefine Ninja Tune as an artist lead label. Bolstered by their punchy horn section and superb musicians, they continuously toured the globe to great acclaim, pleasing fans and winning over new converts with appearances at some of the biggest festivals on the circuit. This much loved live band will spring into action once again in support of ‘Bring Out The Sound’, an album poised to introduce audiences to a new, yet not altogether unfamiliar, sound from The Herbaliser.